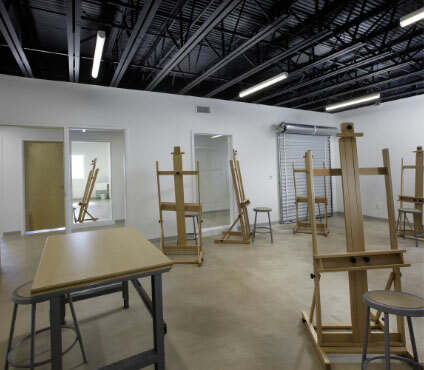 Affiliate Artists enjoy 24-hour access to our facilities which include free Wi-Fi, a wet studio with 6 easels and sink, a dry studio and a meeting room. These spaces are available for shared use by individuals when not in use by the Arts Warehouse. This is a perfect program for hobbyists, seasonal residents and professionals to be in a creative environment. Sorry, but no storage available. Affiliate Artists also enjoy access to Arts Warehouse events and receive information on exhibition and educational opportunities at the Arts Warehouse and beyond when available. This program is for artist looking for space to share in a arts facility with in an artist community. This program gives the artist 24 hour access to our communal spaces to make art when they are not in use by the Arts Warehouse. Storage of art and supplies is not allowed in the spaces…think of the spaces as an open studio non-instructional class. Applications are accepted on a year round rolling basis, and will be reviewed by the Arts Warehouse staff and selection committee as spots are open. To apply, artists must submit an application, digital portfolio, and $25 application fee. We limit the Affiliate program to 25 artist. This program is great for this not quite ready for the Artist in Resident program or those in town for season. A refundable $100.00 security deposit; refundable at the end of the agreement pending inspection/review. A non-refundable $50 key, IT and maintenance fee per year in the program. 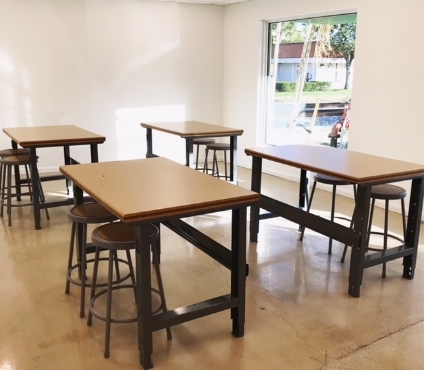 The Delray Beach Community Redevelopment Agency (“CRA”) as part of its Arts Warehouse project intends to provide affordable studios for emerging and mid-career Artists in a variety of media, including, but not limited to painters, photographers, ceramic Artists, and sculptors. ARTIST acknowledges that among The CRA’s purposes in establishing the Arts Warehouse is to nurture Artists’ careers by providing them with affordable space. Handbook is a living document and subject to change. Credit report/background/education check authorization and privacy disclosure form.